Today I have the utmost joy of introducing you to Emily Peacock! 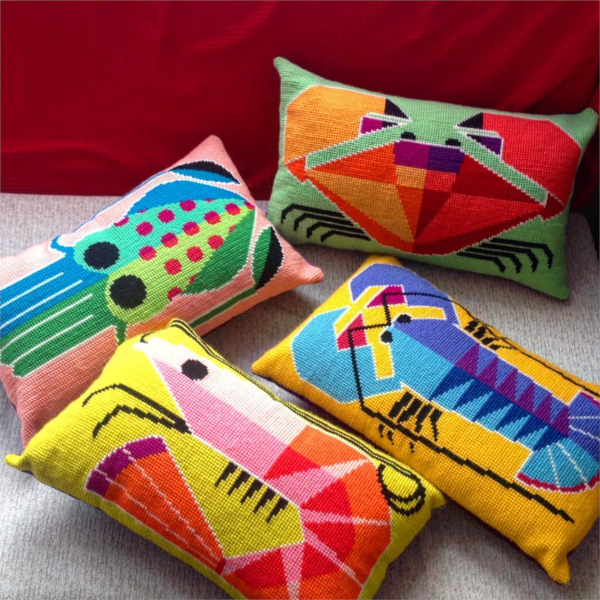 Emily’s contemporary needlepoint designs were among the first I found when the craft caught my eye. Mum had books by Kaffe Fassett and Ehrman and these three influences helped shape my creative future. 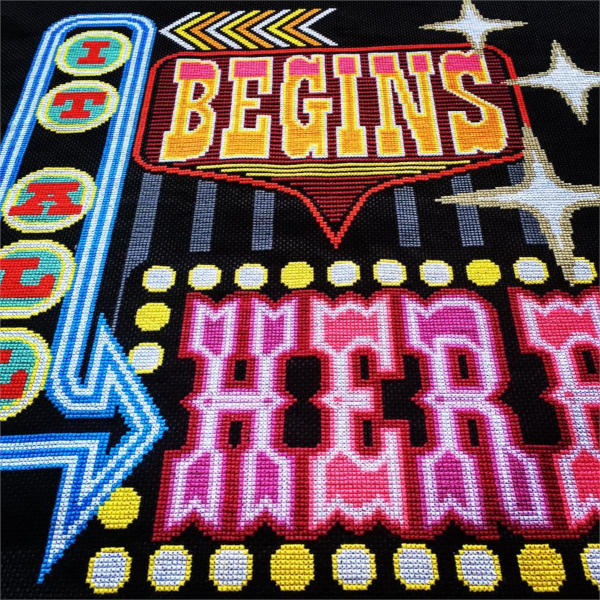 If you’re new to Emily’s needlepoint, her award-winning style is bold, punchy and graphic. Looking at Emily’s collection of vintage-inspired often typographic designs feels like entering a carnival I’d like front row seats to, complete with neon lights, tattooed acts and a vibrant crowd cheering them on. 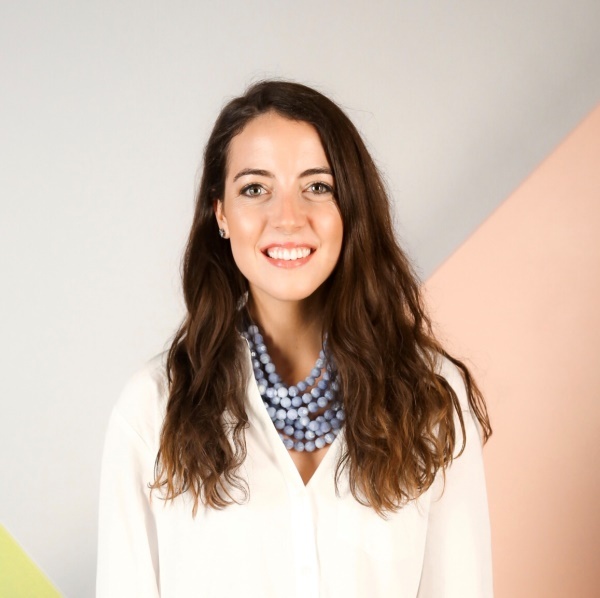 Emily’s enjoyed great success throughout her creative career, collaborating with brands such as Liberty of London, DMC and most recently, Appletons. 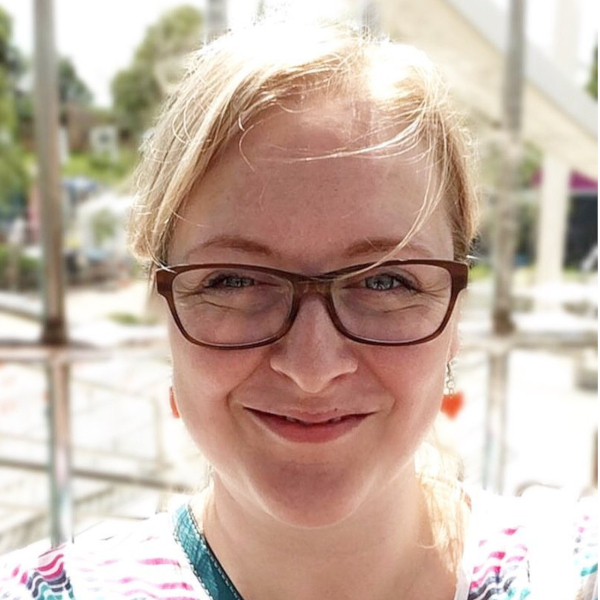 Emily talks to us about the importance of developing your own creative voice, teaching needlepoint on cruise ships and her experience of writing a craft book. It’s time to get cosy, pour ourselves a warm drink and enjoy getting to know one of Britain’s leading tapestry designers, Emily Peacock. Hello Emily, how did you get to where you are today? So, I'm 52 and I started my business when I was living in France with my late husband and two daughters. We had moved to France in 2003 because we needed to shake up our lives and bit. Work was not going well for my husband, our marriage was struggling and, looking back, I think we needed to scare ourselves and inject adventure into our lives. We lived in a town called Pau, in SW France near the Pyrenees. Almost immediately I hated it. I love France and the French culture, but this area seemed very closed and I didn't fit in well at all. We had very little money, it was hard to meet people and I became really despondent. It was at this time that I had a serious word with myself. I felt I was at a point where I actually bite the bullet and get my own thing started, or maybe it would never happen. As tough as it was, maybe it needed to be tough to act as an opportunity for a bit of soul searching and then some action. I had always worked in graphic design but had come home after work and loved to stitch, sew and knit. I have always adored all of these crafts. I bought some canvas and contacted Appleton wools and got them to send me one hank of every colour I liked... and I got stitching. I didn't really know what I was doing or where I was heading, but produced a few designs. I wasn't thinking of a business plan as such, just going with what felt fun and right. We returned to the UK in 2007 with no money and no jobs. My parents offered a log cabin for us to live in for a year so that we could get our act together. 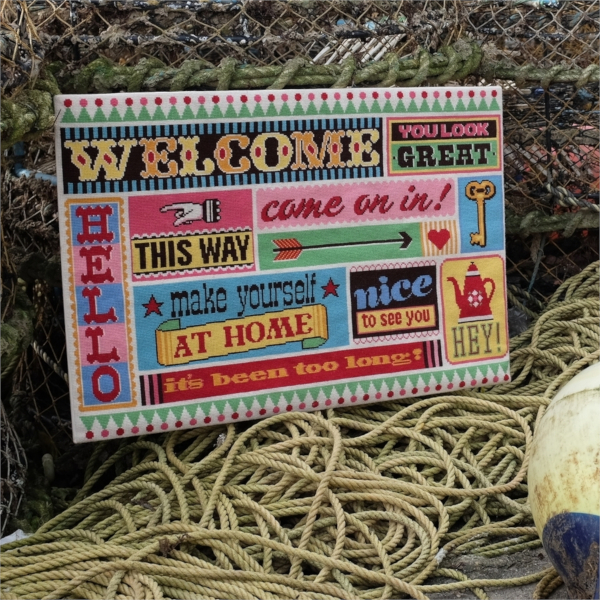 Luckily our re-entry to the UK was timed with a resurgence in the popularity of popular crafts. I contacted magazines, shops and papers telling them what I had been up to. I launched a website and started producing kits of my designs and everything fell into place so easily. I was in Sunday supplements, interior magazines and Liberty of London with seemingly little effort. We were able to move out of the cabin and rent a house and the business grew from strength to strength. After a few years my husband and I separated amicably, moved on with new partners but carried on running a business together. Sadly, he died Christmas Eve 2017. Since the death of my ex-husband, life has been terribly hard both emotionally and financially. I used to make all my own kits, but I have taken a risk handing that job over to my sister so that I can spend the time designing and growing my business. I feel positive, but I'm in that sort of dead space at the moment whilst I invest time and thought before I really get going again. I live simply, but I have energy and determination to rebuild. Why do you do what you do? Because I love it. It gives me joy and peace. I simply want others to share in that joy. I am also a lover of handmade and slow craft. I resist mass production in all things where I can. I feel that the world is becoming pushed towards corporations and small businesses are disappearing. As a result, things feel more homogeneous and less creative. We need to all push our own voices and innate creativity, enjoying the process rather than immediate acquisition and gratification. I'm writing this having just visited Vietnam (I am away teaching). This country is embracing new technology, a big rise in tourism, brand names investing in the country... it's happening everywhere, it feels like everywhere will be the same. 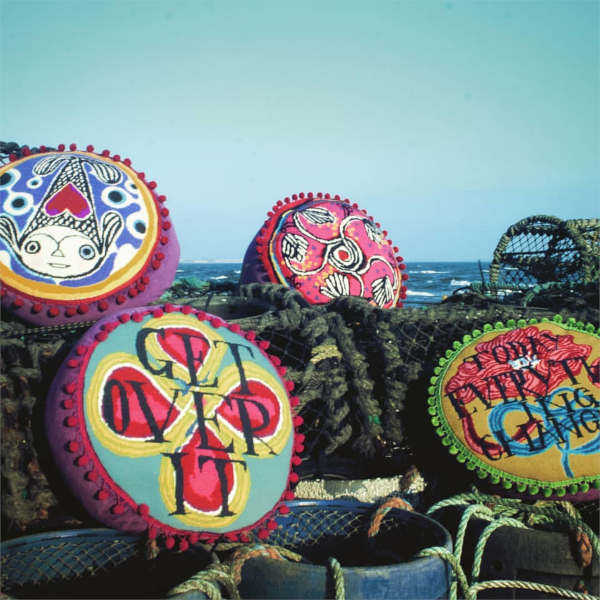 We need to hang on to traditions and handmade techniques – things that make us human and have soul. Where do you draw inspiration from? That's a hard question! I am drawn to anything that has colour and impact and that can come from anywhere. Sometimes it's just an idea which I play around with, sometimes it's a word. I have a background in graphic design and typography from my days working in studios in London. I learned to have an appreciation of fonts and layout. I put things that appeal through an Emily filter and add scale and high colour to create drama and high impact. My colours are nearly always bright – I adore playing with colour. Which part of the process do you enjoy the most? There's a funny graphic I saw once which showed the ups and downs of creating a design. I love the initial idea. I struggle at the drawing. I delight when I get it right. I mostly enjoy choosing the colours. I want to stab something when I start to stitch those colours and they don't work the way I want them to. A period of bad temper and self-loathing before...ah... breakthrough! The agony and the ecstasy. You co-authored Adventures in Needlework, what challenges did you face while writing the book? I was asked to write a book and I chose to do it with Jessica Aldred from RSN so we could make it full of variety. It was hugely stressful. I was surprised that there was no creative chat with the publishers about what we should produce, we just had to produce content and fast. This is my gripe with publishing. Designing and producing takes a huge amount of time, but that's not taken into consideration. I want to do a good job and that's tough with tight deadlines. The whole book was written, designed and stitched in 9 months. If I did it again, I would write a book first and THEN contact a publisher. Actually, no I wouldn't, I'd self-publish. Actually, no I wouldn't. I wouldn't do one again!! Like many designers, you’ve had problems with copyists. Do you have any advice for people who are tempted to copy? It's always been very confusing to me as to why you would want to copy anyone else's style. We are all unique. We all have our own likes and dislikes, our own sense of colour and scale. I think people copy because they don't see their own tastes as having any value and are not connected to themselves which is a self-esteem thingy. They want a guarantee that they will make money because it appears to have worked for the person they're copying. I feel pretty strongly about this. Not only is it morally wrong and incredibly annoying to the person being copied who will honestly want to slap the snot out of you, but also, it's a huge waste of your own gifts and unique handwriting in the world. The other thing to bear in mind is that if you copy someone, you can't maintain it because you're not drawing from an authentic source. You either have to move with what the person you're copying is doing, or you try and do your own thing and it’ll never feel as good because you are operating from the wrong place and fear that it won't be as good as the person you're copying. Take one of my classes! I teach people how to access their own creativity. You ARE creative. You have your own story to draw from. Which designers inspire you?I love the approach of Paul Yore because he really shows you that technique isn't everything. He's very confrontational and maybe too much for most tastes, but it's a don't care attitude that I would like to adopt more. 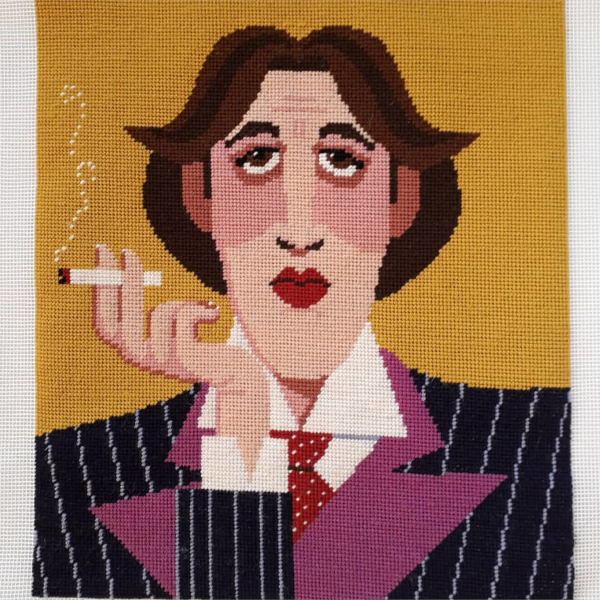 I also am a huge fan of Evelyn Ackerman's tapestries. You teach on cruise ships, how cool is that?! Can you tell us some more about it? I rarely teach on ships but I am on one now from Hong Kong to Dubai. I only teach for 2 hours a day and only on sea days. I get to see the world for free, with a partner, so I'm very lucky. No, I'm not down in the bowels of the ship on a hammock with a barrel of rum, I get a large passenger cabin. I got into this because I was doing a class at an exhibition in Olympia. There was someone from The Carnival Group that came undercover. After that I was contacted and asked to come along to an interview. I have been to various places in Europe, South Africa back to the UK and now Asia. It's a little different teaching on ships – more challenging really because you never know what level people are at. I often get it wrong. The weather also comes into play – I have taught going over a very rough Bay of Biscay. The sickest I've ever been... We do have a laugh – usually we're in a cabin next to a tribute act, a few musicians and some guest speakers and we form our own little community. Where do you usually sit down and sew? I stitch at home on the sofa mainly. The best thing I bought was a really good solid frame by Needle Needs. Worth the investment for maintaining a good tension. I also love a shade card... I could stare at them for hours. I wind a sample of each thread onto clothes pegs and mix them up to give myself colour combinations I wouldn't have worked out. What advice would you give budding needlepointers? Oooo, I would say don't take too many classes. If you do then make sure it's a class that draws the style out of you, not simply a technique class. It's easy to get addicted to class taking and in the end not really get anywhere. Also think about who you are, what your likes and dislikes are, what your personality is like... then put that into your work, don't just stick to tradition or look at what other people are doing. Thank you so much for chatting with us today, Emily! You’ve had such a varied career and it’s fascinating to learn more about it and how these experiences have shaped you as a designer today. Don't forget to follow Emily on Instagram to stay up to date and check out her latest printed canvases of British writers she design in collaboration with Appletons. 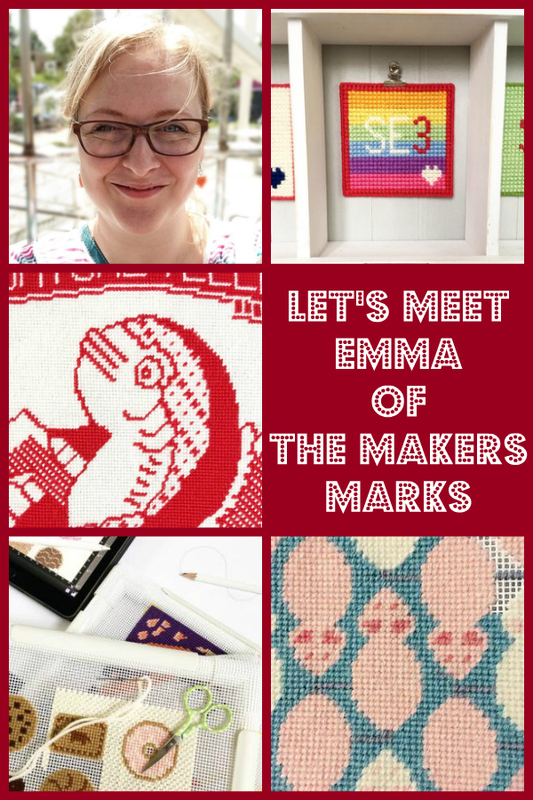 Last time Emma shared her story with us, if you missed it then Let's Meet: Emma of The Makers Marks. Next time we'll be meeting Joanna of The Plum Stitchery! Stay tuned. Did you enjoy this post? Sign up to my newsletter to get more hand stitched treats delivered directly to your inbox. I can't promise it'll be weekly but I can promise it'll be a healthy dose of creative fun. We love hearing from you, please leave your thoughts or questions for Emily in the comments. I'll be back soon...until then, sew your heart out! 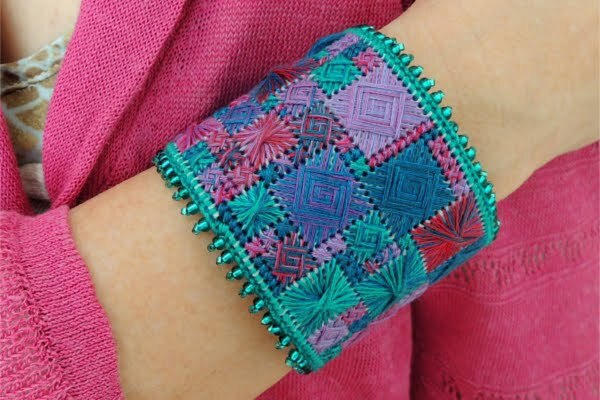 Do you enjoy finding ways to wear your needlepoint as much as I do? The Millefleur Satchel came about because I was looking at how I could accessorise my outfits with hand stitch so I could carry a piece of my passion with me wherever I go, and now you can too! I’ve teamed mine with a chunky jumper, casual skirt, leggings and ankle boots for the kind of preppy boho look I favour. This cute satchel is the perfect size for your purse, keys, and phone, and even some little extras...lipstick comes to mind. What's more, it’s entirely handsewn. And, even better, it’s easy to stitch! 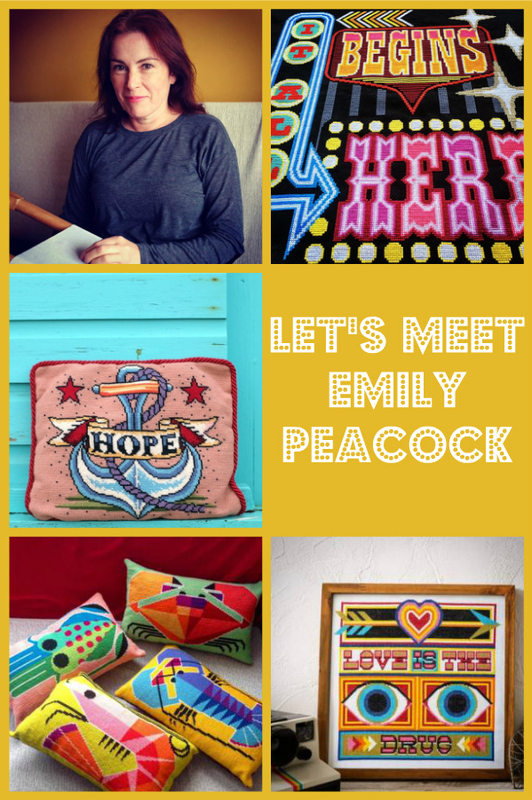 It’s with great pleasure that I introduce to you this week’s indie needlepoint designer, Emma of The Makers Marks! Emma is based on home soil, she works and designs in London and is the first British designer we’re meeting as part of this series. Emma's spent her lifetime exploring her creativity. 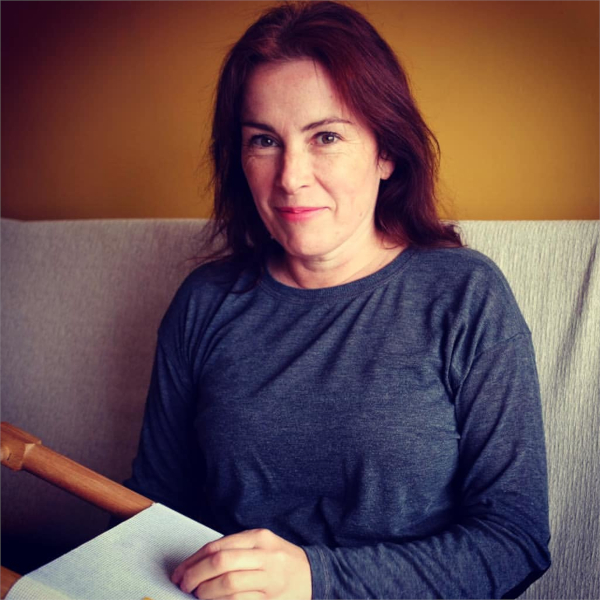 From sewing and crafting at her mother's knee, she went on to become a trained photographer and now runs a busy Creative Consultancy. Emma even helps manage events for her local textiles group! 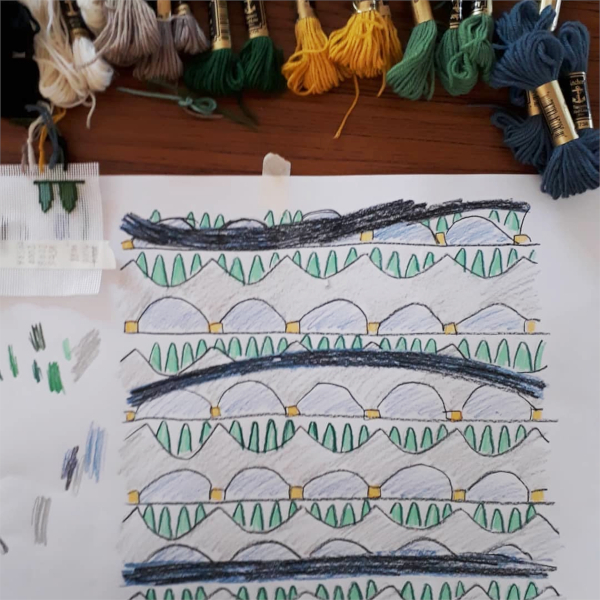 Today she is turning her hand to needlepoint, a craft she's had a lifelong love affair with, and is creating her own designs for you to have a stitch at. 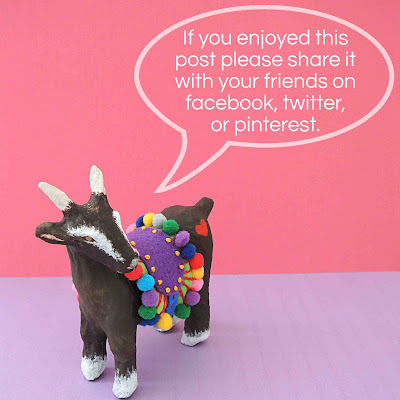 Is Stylecraft Special DK a Good Affordable Alternative Needlepoint Yarn? 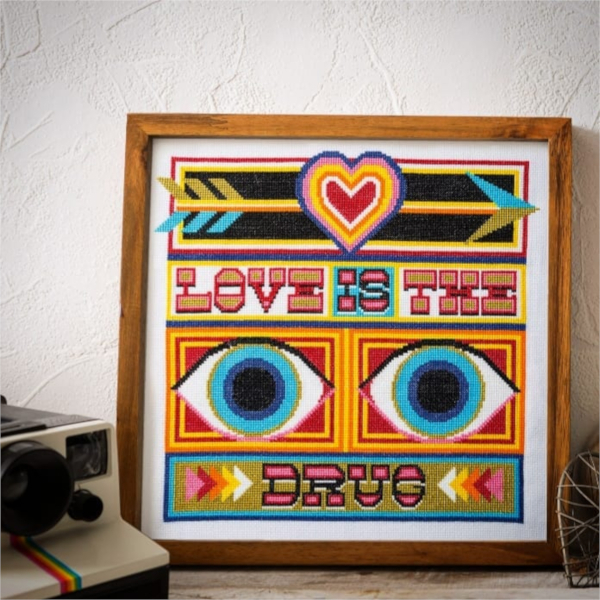 Needlepoint can be an expensive hobby. With this in mind, last year I began a quest to find an affordable needlepoint yarn to make this addictive craft more accessible for all. 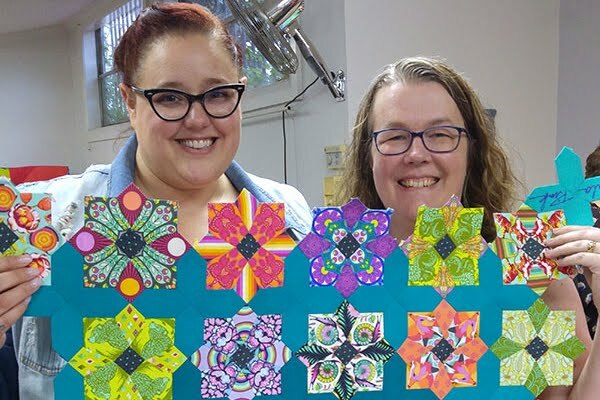 Join me now to find out if Stylecraft Special DK yarn is a good, affordable alternative to use on your needlepoint when me and Jacky of Willow and Twist put it to the test on our collaboration, the River Fishing pillow. This story begins last year when Stylecraft very kindly gifted me some of their Special DK and Chunky to add to my ever-increasing stash! I choose the three new shades of chunky and some shades in the DK. I'd been using the Special Chunky to stitch designs with for a little while and I was excited to expand my colour palette. I wanted to try the DK after learning Kaffe Fassett's favourite way to stitch is with two strands, giving him more colour flexibility and texture. This really appealed to me, partly because colour's a very important aspect to my designs but also because there's only 88 shades to choose from in the Special DK range and a mere 39 in the Chunky. 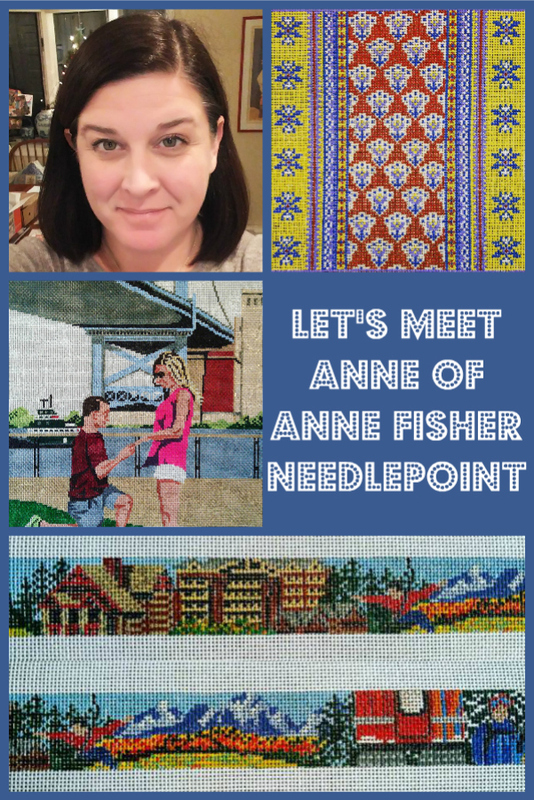 This week we're heading all the way to Pennsylvania to meet Anne of Anne Fisher Needlepoint! Anne's worked in the needlepoint industry for over 20 years. Starting out as a custom painter for her local needlepoint shop, she's now stocked in needlepoint shops all over the USA! Anne's style is one of timeless elegance and she's designed many breathtaking custom pieces. 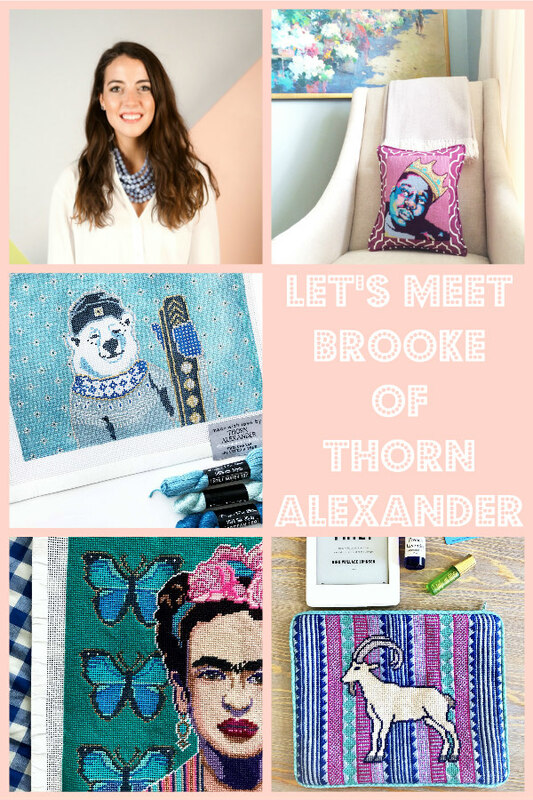 It's time to meet Brooke of Thörn Alexander! If you haven't heard of Brooke, you're in for a treat, and if you have then you already know it's going to be ace. 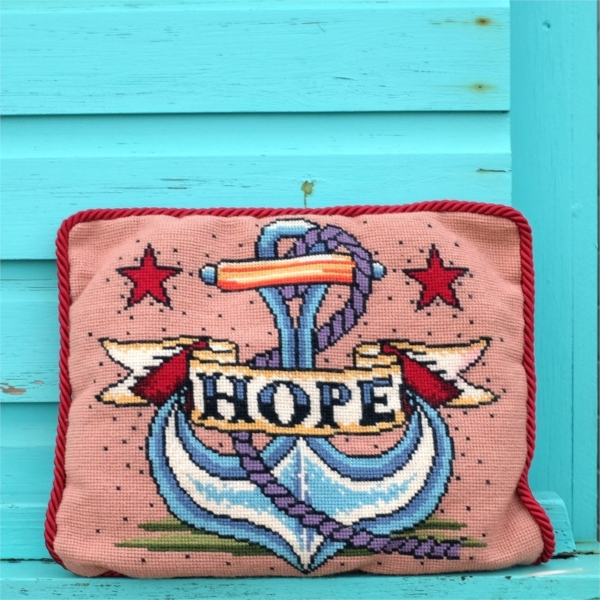 Brooke hand-paints needlepoint canvases that can be turned into pillows, belts, passport holders and much more. Thörn Alexander's fresh and fun collection celebrates Brooke's love for colour, texture, animals and popular culture icons. 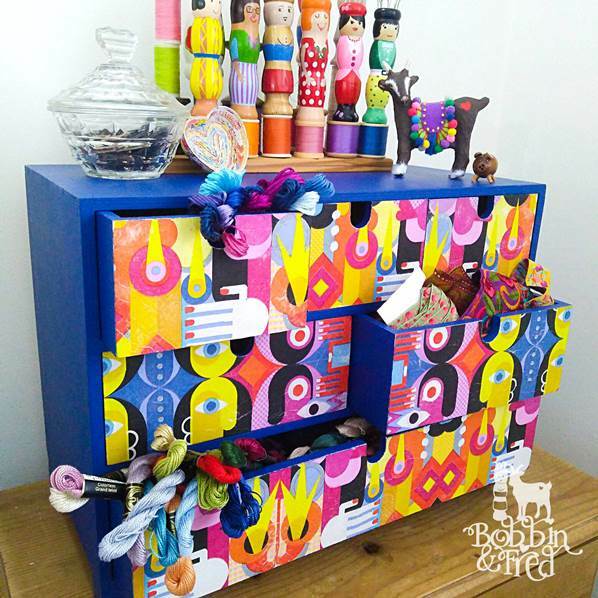 Is embroidery thread storage a problem in your creative space? I don't have a dedicated sewing studio so my floss is in an ottoman at the foot of my bed, in plastic takeaway boxes on my shelves, wound onto bobbins kept in plastic thread boxes, and they're even lining the bottom of my wardrobe. Needless to say, it's everywhere! 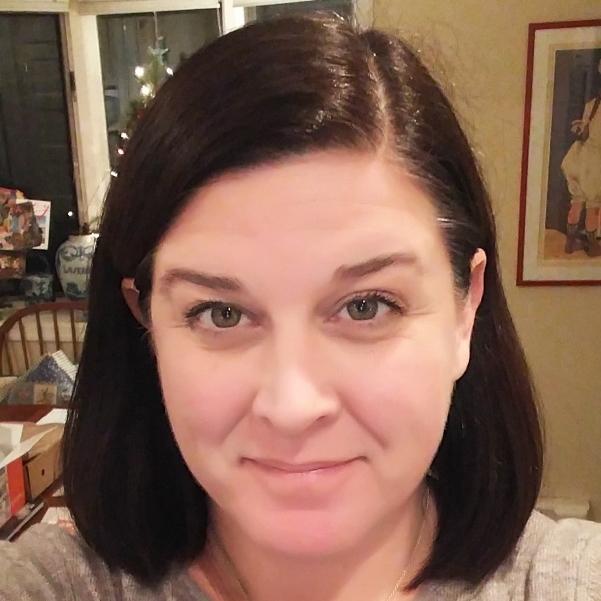 Hey, I'm Shannan, author of Sewing with Bobbin and Fred, a blog about my journey into the Land of Hand Stitch. Are you a designer with a beautiful project you’d like to see in print but have no idea how to go about it? © 2017 Sewing with Bobbin and Fred. Heyden Template designed by Georgia Lou Studios. All rights reserved.